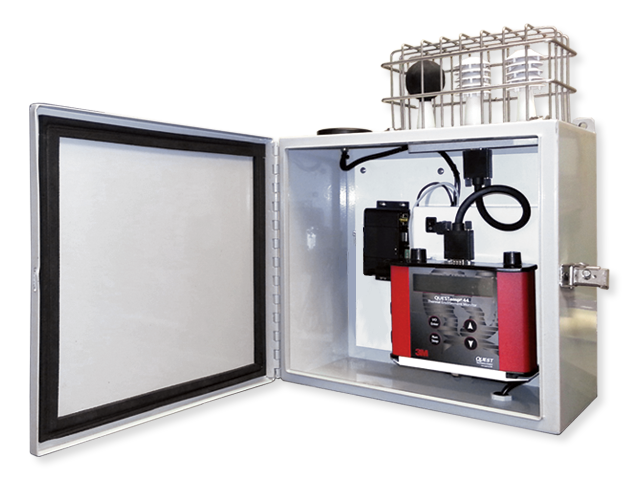 SCADACore’s Heat Stress Monitoring System for 3M QUESTemp is Cloud-Ready, allowing clients to access real-time heat stress data remotely. A hosted-monitoring option and a data-push-to-SCADA option allows clients the flexibility of choosing the capability that suits their industrial operation. Ensure the safety of your employees and comply with regulations by monitoring for Humidity and Heat Stress to protect workers from extreme working conditions with real-time trending and callout notifications. Heat stress monitoring is a requirement for most health agencies. Work involving high temperatures, high humidity, or strenuous physical activities have a potential for causing heat stress in workers. Warehouses, factories, outdoor labor, shipping yards, or anywhere where heat and humidity could potentially be a health concern, should be monitored with a heat stress monitoring system. 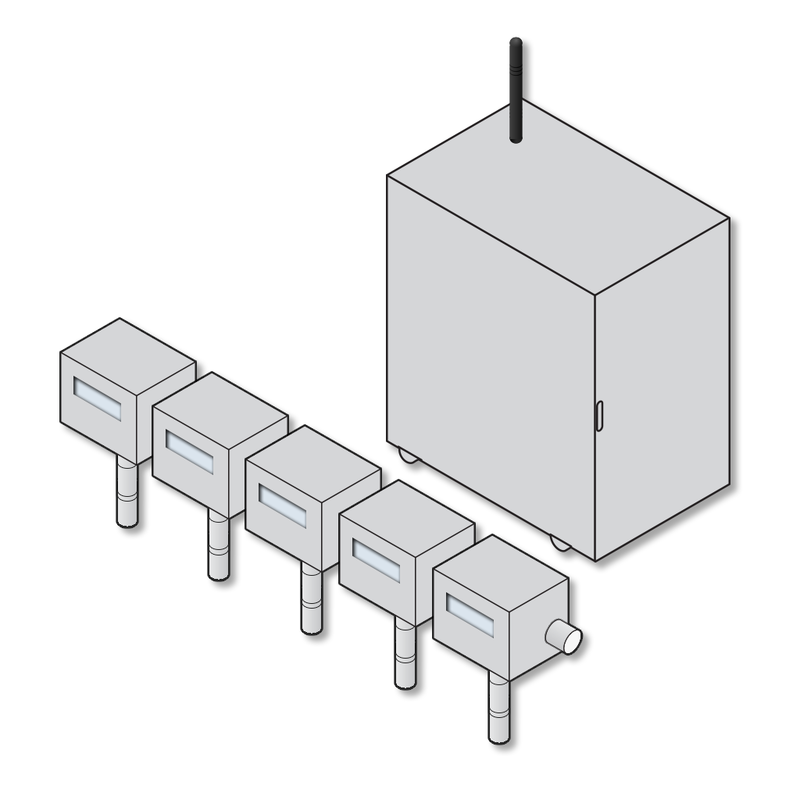 SCADACore Heat Stress Packages are Cloud-Ready weather-proof enclosures that measure temperature, humidity, heat-index, WBGT, and more. 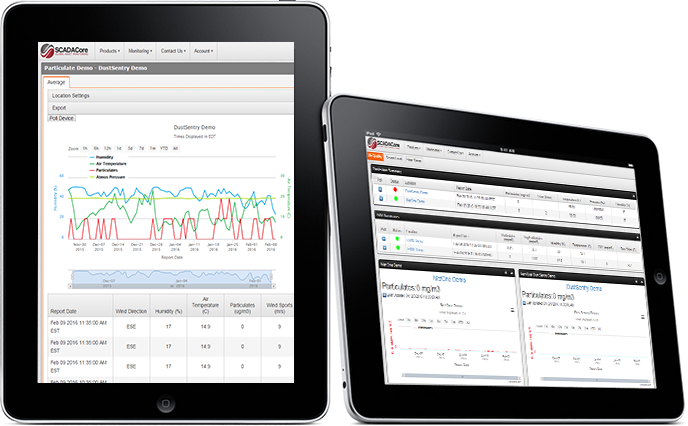 The system is complete with onsite data logging, online data logging, escalating alarm notifications, and built-in connection to the cloud, allowing you to access heat stress data anytime, anywhere. There is no need to physically walk to the local display and manually alert personnel. 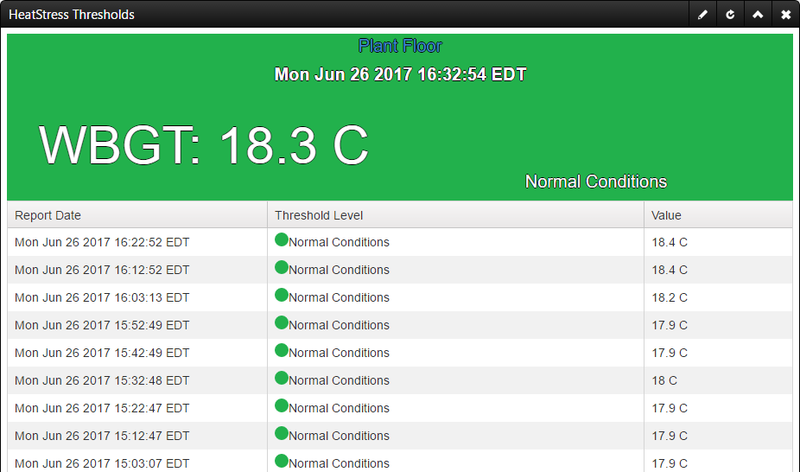 SCADACore’s online heat stress monitoring provides remote access to the Heat Stress Monitor data anytime, anywhere for $60/month. 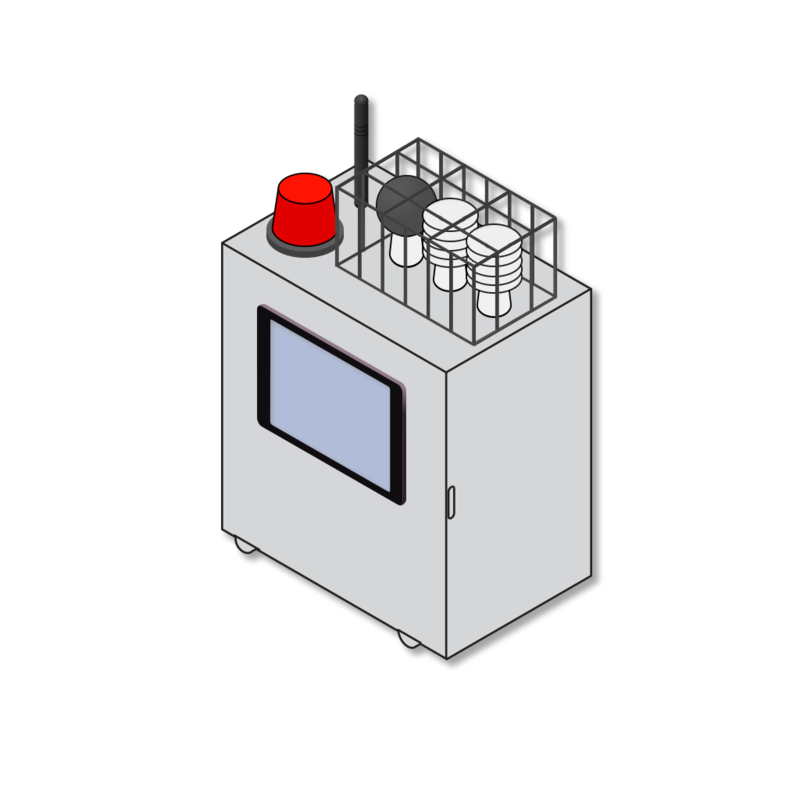 There are no thermometers or hygrometers to manual check and notify staff. Using SCADACore’s intelligent Email / SMS / Voice callout system, alerts can be sent to dozens of individuals at once, notifying them of precautions that need to be taken. 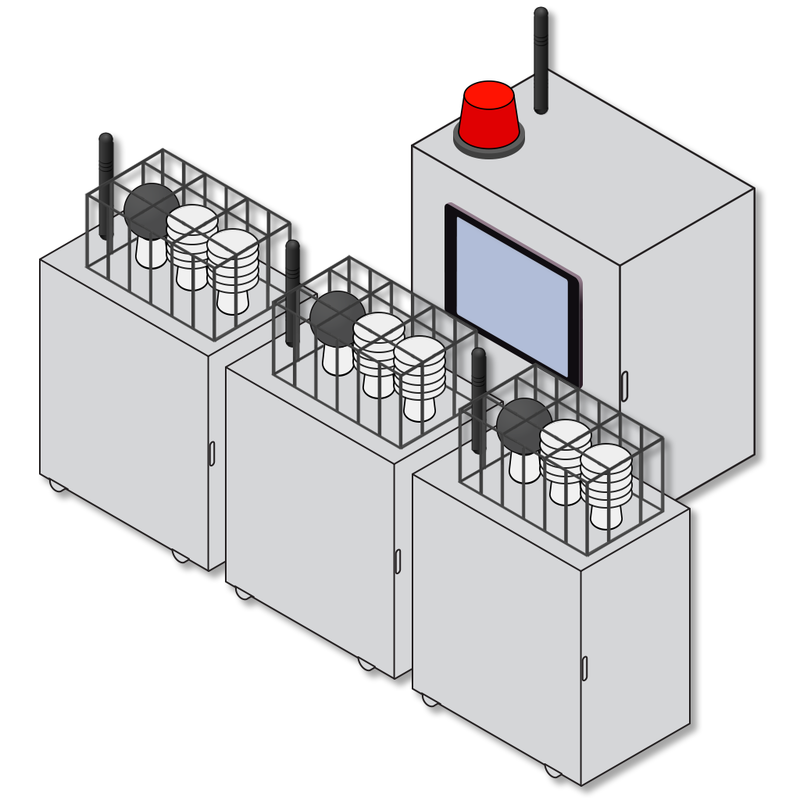 Heat Stress Monitors have local display and data logging capabilities, but getting that data is highly inconvenient. 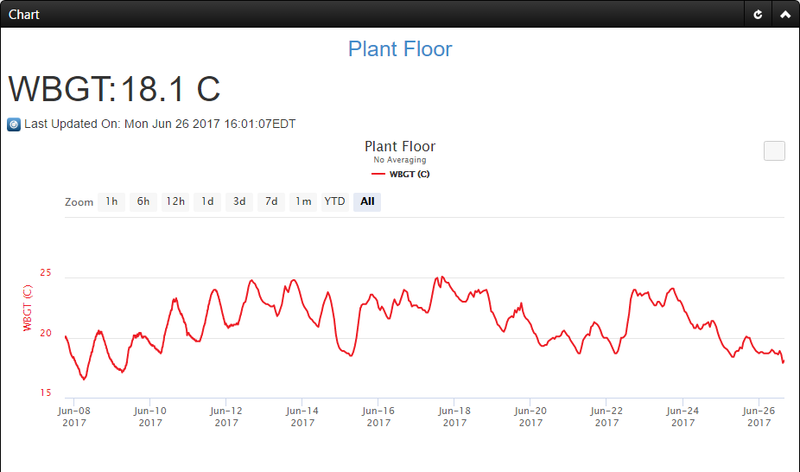 SCADACore’s IIoT Live Heat Stress Monitoring provides data that are polled from the Heat Stress Monitor and are stored in our secure cloud databases. The data is then analyzed and color-coded, and are displayed with historical data for simple, convenient access. 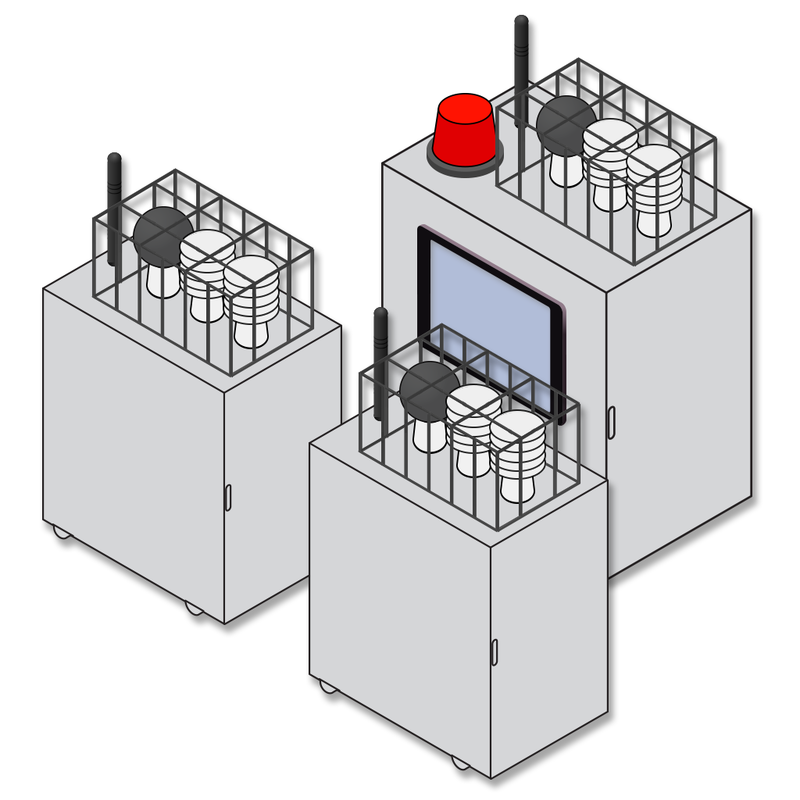 Standalone Heat Stress Monitors only have local alarming capabilities, and they are unable to alert supervisors who are not in close proximity. 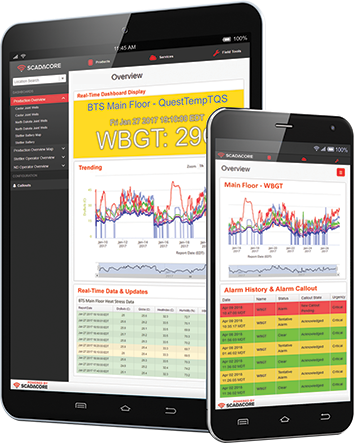 With SCADACore’s Heat Stress Monitoring, foremen and supervisors can be notified anywhere. SCADACore provides comprehensive alert notification functionality, allowing personnel to get Email, Text, or Voice Call alerts for escalating alarm conditions. Manually getting local data logs, and charting the data in Excel is an antiquated process. 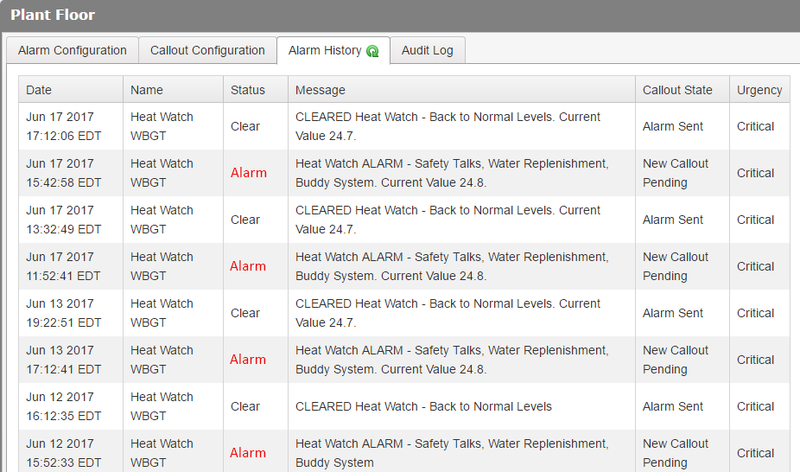 SCADACore obtains data from any Heat Stress Monitors and takes care of all the logging and charting for you. 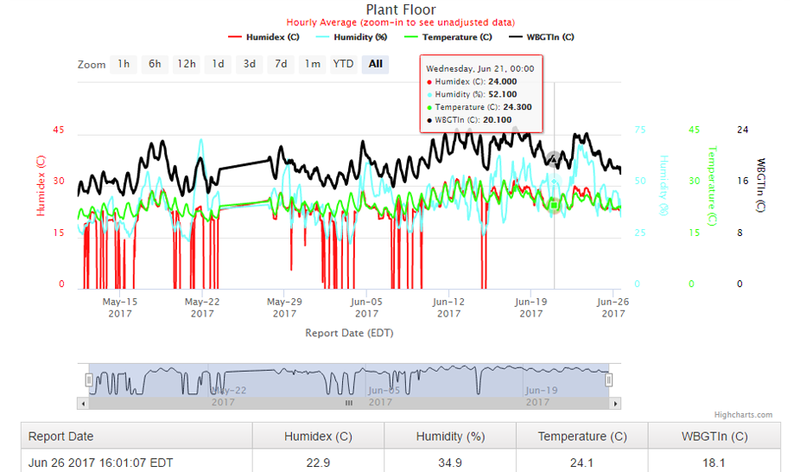 IIoT Live’s trending capabilities allow foremen, supervisors, and industrial hygienists to identify times of the day when heat stress can be dangerous to the employees. Military training activities in hot environments pose significant risks. SCADACore’s Cloud-Ready Heat Stress remote monitoring and alarm notifications can assist in preventing heat-related illness associated with military training and exercises. Athletes might sometimes experience heat stress during training, resulting in an increased risk of heat-related illness. SCADACore provides Cloud-Ready Heat Stress remote monitoring and alarm notifications that can assist in preventing the effect of heat stress by alerting users of high heat levels.